Nitpicking is easy. I can always spot the one dirty dish in an otherwise flawless kitchen. Likewise, small flaws in a video game can stick out to me. The Sims 4 fandom loves to nitpick, and although I’m also really bothered by that one lot in Bedrock Straight where a single tile is mismatched from the rest of the house, I see this game get nitpicked way too often. The truth is, at its core, The Sims 4 is a good game, and it always has been. Before the game launched, I understood the apprehension. The lack of swimming pools or toddlers made it seem like The Sims’s team was stripping even more features from the base game, which already tends to feel empty in every Sims game. But swimming pools were added in a free update a month after launch, and toddlers got added in a free update years later. The Sims 4 still hasn’t managed to shake off that initial impression with Sims fans, though. The Sims 4 does not deserve this reputation. In fact, I feel like many of the new features that fans complain about are general improvements from The Sims 3. Yes, there’s no more library of patterns to customise every single piece of clothing and furniture, and the game is no longer an open world. But, thanks to those sacrifices, the game performs better on a wider variety of machines, and that’s worth it to me. More than that, though, the underlying systems are good, and they work. Create-A-Sim has seen some much-needed improvements. Before Sims 4, changing a Sim’s features meant navigating through a hell of sliders without ever being sure what they correspond to. Now, you just push and pull on a Sim’s face to change their features. 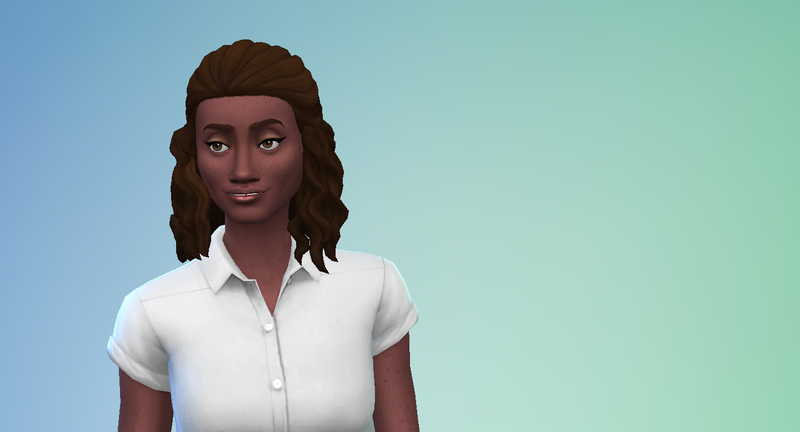 The expressive, cartoon-y artstyle creates a wider variety of looks for my Sims, and it has also given the artists a chance to make the first not-ugly curly hairstyles the franchise has ever had. Sorry, just in love with this incredibly pretty Sim I made. The new building system doesn’t feel like a chore anymore. The ability to save entire rooms to drag and drop onto a given house not only speeds up the process, but gives me a building block of tools to use not just in building one house, but building every house thereafter. The Sims 4 gives the player a smaller pool of customisation options, but because the pool of options is smaller, each system feels much more coherent and thoughtful. Here’s yet another example: the new moods system. In The Sims 4, your Sims will cycle through various moods depending on stimulus and what happens in their life. I remember in one game, both my family’s dog and their father died in quick succession, and everyone was so sad that I couldn’t get a single person to do laundry for a week. It’s not just that they roll new desires when they have moods like this. Sims’ demeanour and animations change. They’ll cry softly in the shower or sob in their sleep. They’ll play with their food before eating it. They’ll autonomously share their woes with the Sims around them. These Sims are dolls in a dollhouse, but they have their own lives. I like the emotional challenge of getting a Sim to do their chores; The Sims 4 makes every small milestone feel like an accomplishment. It’s tempting to compare The Sims 4 to games that have been out longer and have more content. The Sims 3 has eleven expansions, including ones that allow your Sims to go to university or or do witchcraft or have robot butlers. As more expansions have come out, The Sims 4 has come closer to that bursting-at-the-seams sense of fullness, but more importantly, the game was built on a stronger foundation than previous games. It might not be as big of a game as previous ones in the franchise, but it’s a smarter game, and I’m glad the developers focus on making a few things work very well.